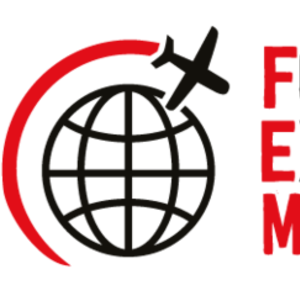 Entries for the FEM Americas EMMAS are now open! Entries for the FEM Americas EMMAS are now open with some sterling submissions already! Don't miss the opportunity to enter this year's EMMAs - the global mobility industry's most prestigious awards. We've refreshed the categories and there are plenty to choose from. Enter as an individual or a team and make sure you are among the very best of the industry at our glittering awards ceremony and gala dinner. Read the criteria carefully and write an entry that really addresses the category. Answer the questions, you don't need to add evidence out of scope. Focus on proving the impact of what you have done in the category you are entering. Be clear and specific. Stick to the word count and utilise your supporting documents to tell a cohesive story. The judges prefer a passionate, but short entry to a long and unfocused one. Clearly show how the choice/solution/action benefited the wider business or your partner! Make your best points first and back up your claims with evidence. Demonstrate where you have realised change, innovation or improvements in your programme or service and the functions it touches. How have things improved since you did this? KPIs, clear metrics and data analytics are a great way to bring to life how you transformed your work! Let the judges know how you measure success and what you delivered against. It brings the entry to life. Provide a narrative answering “why” you should win. Don't be afraid to say you deserve it! Let the judges know how important the work has been for your clients/assignees and the effect it has had overall. Don't downplay your achievements! Don't be put off if you entered before and didn't win. Update your entry and try, try again.